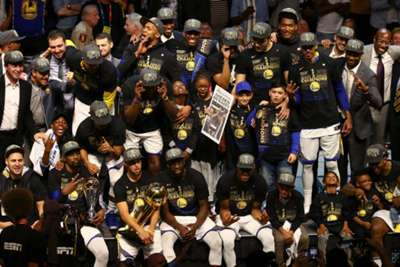 The Golden State Warriors are NBA champions for the second straight year, but they never had intention of dulling their celebrations. Golden State, who won their third title in four seasons, commemorated their historic season and sweep of the Cleveland Cavaliers with a parade on Tuesday in downtown Oakland. The event began at 11:00 (local time) on Broadway at 11th Street and concluded on Oak and 13th Street. The festivities drew an estimated one million fans, countless brooms as fans celebrated the Finals sweep, as well as plenty of champagne.